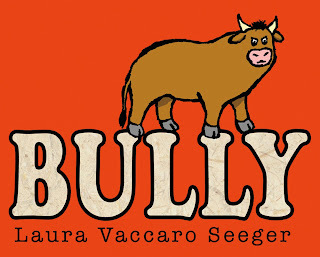 Seeger (Green) uses boldly inked barnyard animals to tell her story about bullying, casting a bull in the title role. The trouble starts when the young bull is rejected by an older one: “Go away!” it shouts. The young bull is shaken, but he’s learned something—how to hurt others. When a rabbit, chicken, and turtle in the barnyard ask him to play, he grumps “No,” then hurls insults at them, names that are no more than the literal truth. “Chicken!” he yells at the chicken, who jumps in the air. “Slowpoke!” he shouts at the turtle. “You stink!” he screams at a skunk. The more he abuses the others, the larger he grows, his angry bluster feeding his self-importance. At last a goat speaks truth to power: “Bully!” the goat cries. “Bully?” the bull repeats to himself. All the inflated air blows out of him, and he tosses and tumbles across a spread like a balloon let loose. Tearfully, he makes peace. Seeger’s pages pop with action, and the lesson couldn’t be clearer. It is so important to me as a school counselor that students do not become bored and desensitized with my books - because then my message is lost. 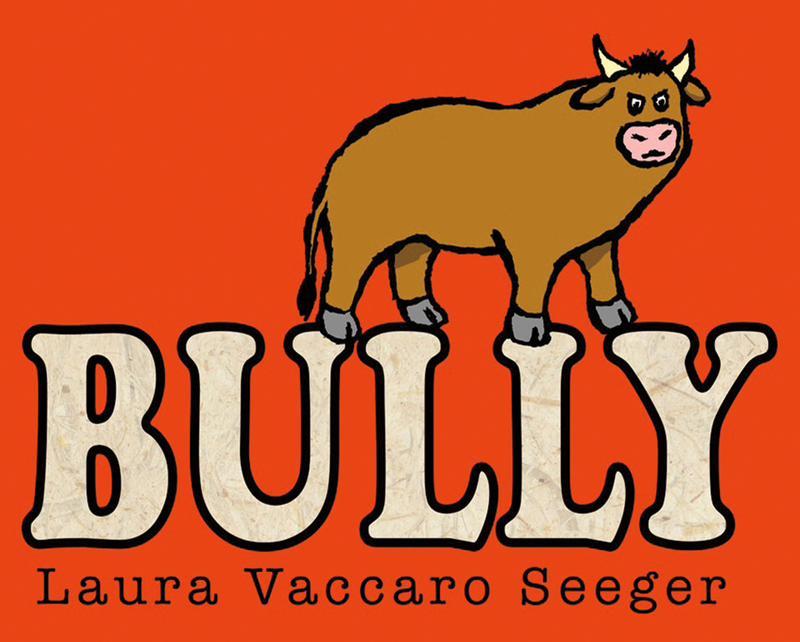 So when a new book like Bully comes along I get so excited knowing I can continue to deliver bully prevention with STELLAR stories. This is a no brainer for me - Pre-Ordered! Can't wait to get it. Looks like a super creative way to teach kids how bullying starts and love that it ends with peace.